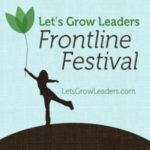 Welcome back to the Let’s Grow Leaders Frontline Festival. Our November Festival is all about Worklife Balance Integration. Thanks to Joy and Tom Guthrie of Vizwerx Group for the great pic and to all our contributors! Michelle Cubas of Positive Potentials shares that Work-Life Balance is a Gender Based Myth. Follow Michelle. Balancing will not suffice in today’s fast paced world. According to Jon Mertz of Thin Difference, we instead we need to find a work-life tempo and change it whenever the need arises. Follow Jon. Are you striving to find work-life balance? 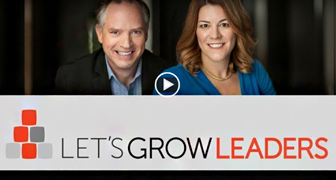 Forget it, says Skip Prichard of Leadership Insights. Successful people understand that being OFF balance is what matters. Learn from an acrobat and see how to use these concepts to power your goals. Follow Skip. Work-life balance is about setting the right priorities for work and lifestyle. Get it wrong and your health may suffer. Follow the advice of Tristan Wember of Leadership Thoughts and restore balance in a day. Follow Tristan. Wally Bock of Three Star Leadership observes that we keep trying to cram more and more into the day. What are the consequences? Follow Wally. 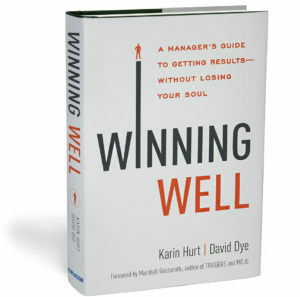 The world is primarily results-driven. According to Tom Eakin of Boomlife to create the perfect blend between life and work we need to challenge the status quo and become values-driven thinkers. Follow Tom. Lisa Kohn of Thoughtful Leaders Blog presents “Are you a workaholic?” where she shares that a bit of Thoughtful Leadership and intentional living can be a great first step towards awareness of workaholic tendencies and willingness to call them out and do something about them. Follow Lisa. Matt McWilliams of MattMcWilliams.com shares that this workload-as-status-symbol syndrome is usually not about working hard, chasing a dream, or being integral to an organization’s success. We’re overworked because of our desire to feel important. Follow Matt. Tracy Shroyer of Beyond the Stone Wall asks, “Are you sick and tired of hearing people drone on about how busy they are? I call it the ‘busy syndrome’ and believe it can be prevented. It has to do with the choices we make.” Follow Tracy. To achieve life balance, you have to learn how to say “No.” Beth Beutler of H.O.P.E. Unlimited gives us some tips on using that word graciously. Follow Beth. John Hunter of Curious Cat Management Improvement Blog shares that vacation time in the USA is much less than most other rich countries, which he think is a mistake. John opted out and is trying the digital nomad lifestyle. Follow John. Jeff Miller of Essenhaus, Inc. explores the idea of treating our home life similar to our work life, with goals, mission statements and more. Follow Jeff. Michelle Pallas of MichellePallas.com shares that you can only manage what you can measure, whether it is at work or home. Follow Michelle. 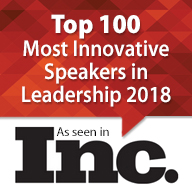 For leaders and small business owners, holidays rarely mean a full disconnect. Alli Polin of Break the Frame suggests that the answer to: “Do I work or turn off completely?” is a personal one and it’s often hard to make. Follow Alli. Have you ever felt like you needed a little help in the work life balance juggling act? 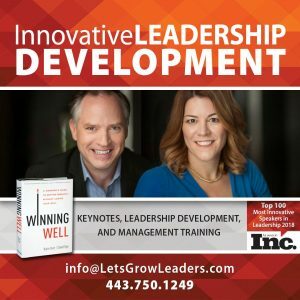 Leadership Coach Julie Pierce of Empowered by Pierce offers four practical helps to keep the balls in the air. Follow Julie. Just because technology makes it possible to be always available, doesn’t mean you should be, advises Jesse Lyn Stoner of Seapoint Center for Collaborative Leadership. The reality is that it’s not healthy, and over the long run you will be less productive. These 7 habits can help you turn off technology and tune into life. Follow Jesse. Julie Winkle Giulioni of Juliewinklegiulioni.com suggests that focus–a top strategy for achieving purpose, goals and success–may be the most misconstrued human capacity. Is it possible that how we’ve come to think about and approach focus might actually impede the very progress and results we’re hoping it will drive? Follow Julie. Call for Submissions. December’s Frontline Festival is about Dreams and Callings. Please send your submissions no later than December 12th. New participants welcome. Click here to join in! Posted in Frontline Festival and tagged Frontline Festival, how do I get better worklife balance, work life balance. I would be honored. I’ll email you. And yes, I have an ebook in the works.